Just about every pool and spa is surrounded by a deck area, and as with any surface, your deck can become dirty and stained from various oils, chemicals and natural elements over time. In many instances, decks will even sustain unsightly calcium buildup, especially in Las Vegas where mineral-rich hard water is extremely prevalent. Just imagine having this beautiful, sparkling clean pool… surrounding by a grimy, stained deck. Not a pretty picture, right? So why not give your deck as much attention as the pool itself? At Quality One Pool Management, our pool deck cleaning services are second to none in Las Vegas, and we can help to ensure your entire pool area is properly maintained year-round. In addition to good old elbow grease, we use a series of emulsifiers, calcium reagents and hot high-pressure water to release and lift ground-in stains, dirt and chemical buildups. However, the best way for our pool experts to clean your deck depends on the type of material it is made from, and not all materials are created equal. Usually finished with rock salt and sometimes later painted. A dual system polymer popularly used as a commercial and industrial floor coating. An acrylic polymer with a sealing top coat. High-performance, non-skid safety coating that works to effectively coat and weatherproof several different surfaces. An innovative rubber safety coating made of polymer resin mixed with rubber. Decks which are heavily soiled, stained and dirt embedded. Lightly stained or coated with a light amount of general dirt and grime, not oil soaked. Our cleaning application for each coating and condition varies based on age of the coating and its existing adhesion qualities. The secret is understanding what the deck is made of and how to chemically or thermally treat it. 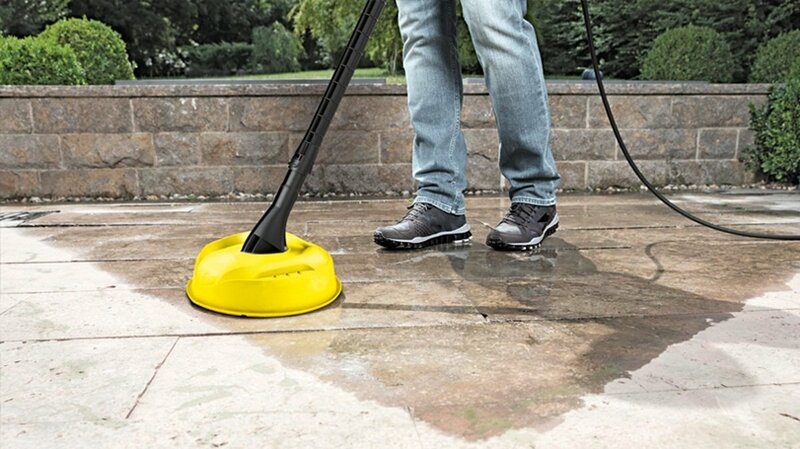 At Quality One Pool Management, we are highly experienced in providing patio, walkway and pool deck cleaning services to Las Vegas home owners, hotels, resorts and apartment complex operators. However, we also offer a wide variety of additional pool maintenance and repair services, making us the go-to company for all your pool service needs. Deck cleaning and pool cleaning have obvious synergies when they are performed by the same pool cleaning company, and that synergy will save you on overall cost and eliminate coordination issues with multiple contractors. For more information regarding our deck cleaning services and how we can add this to your existing pool maintenance contract with Quality One Pool Management, contact us today at 702-896-0500 or fill out our quick contact form and we will reach out to you shortly. .